Selling vegetables at the market has more than one advantage so says widow Parbha Kumari. It is because apart from making money every day you also get to meet a lot of people, you are not idle and moving around keeps you healthy. Ms Kumari’s husband passed away eight years ago. “It was not easy when my husband passed away, I struggled as there was no regular source of income,” Ms Kumari said. “I did all sorts for work from clean­ing houses, baby-sitting and selling sweets to earn money so that I can survive,” she said. “I did not want to rely on my chil­dren as they have families of their own. “I started with $5 a week working in houses, made sweets and looked after babies so that I could get some money. 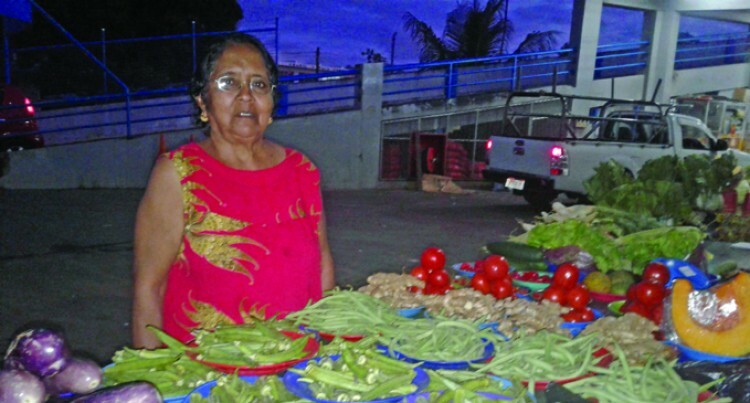 She now has a spot at the Nabua Market (beside Rajendras Supermar­ket) selling vegetables. “This is my nephew’s stall I come here sometimes to sell to get money for my living,” she said. The 66-year-old widow from Muani­weni Village in Sawani said the best part of being a vendor is meeting new people every day. “My son is supporting me financial­ly; my selling vegetables is my extra income. The money I earn here I buy my medicine.